Tuesday PTJ Inspiration with Santorini! Santorini is the perfect collection for documenting all of your travels! 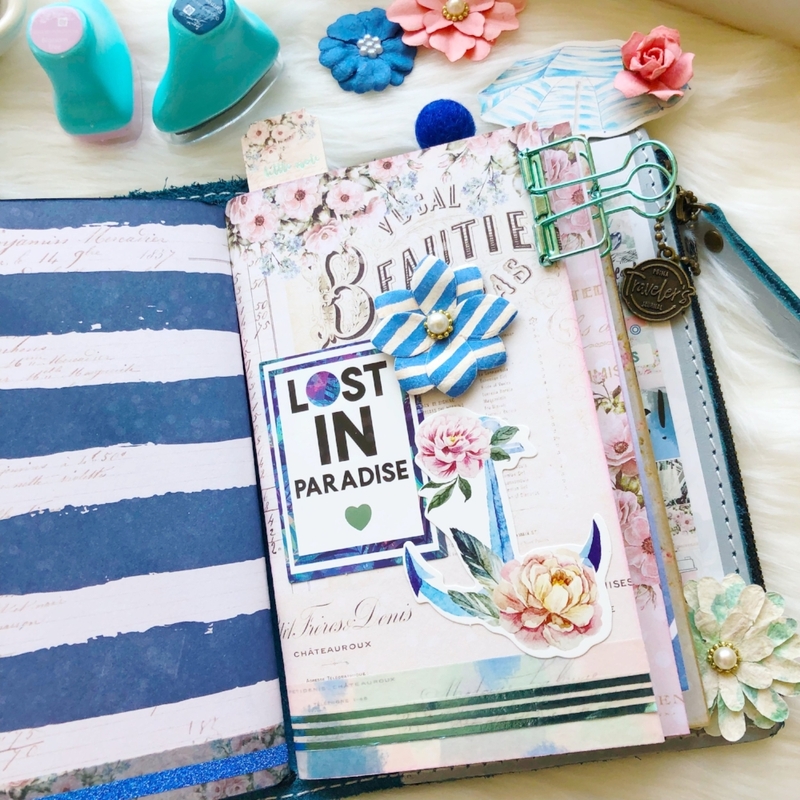 Jomelle shares how she decorated her PTJ with this wonderful collection! It’s my dream to go to Santorini someday. For now, setting up my PTJ with using the Santorini collection is the closest thing I’ll get to that dream vacation. I just love how the ice blue PTJ matches this collection perfectly. Decorating my inserts is so much fun. I enjoy stuffing my TJ pockets with all kinds of embellishments. It’s more decorative than functional but it makes me happy when I open my TJ. How will you decorate your PTJ? Share your PTJ adventures with us!